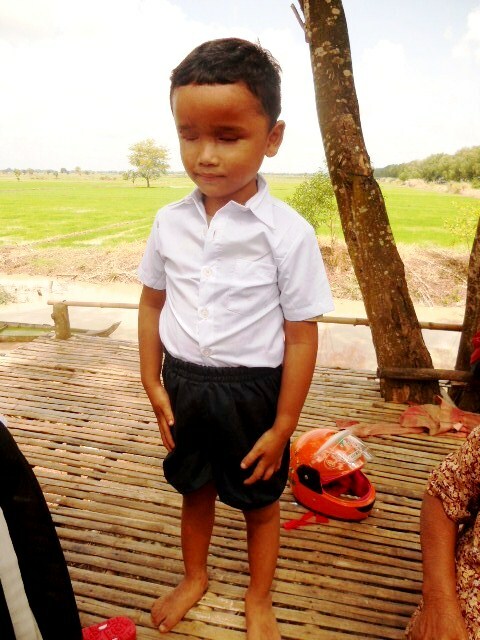 Five year old Sambart was born blind, for years now CHOICE has been supplying aid to his family. 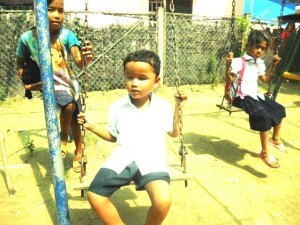 Now we have enrolled Sambart in the Krousar Thmey school for the blind. He has settled in very well and is excited and eager to learn and return after his first week. We have to thank Thea Quin and her family and Richard Jones for sharing the costs Sambart needs in order to attend the school. He lives at the school from Monday to Friday and travels home for the weekends. At the moment costs are US$36pm for food, $60pm for transport (a 2 hour trip on a motorbike) and a couple of $$ for washing his clothes. We still continue supplying rice each month for the family in the Village. 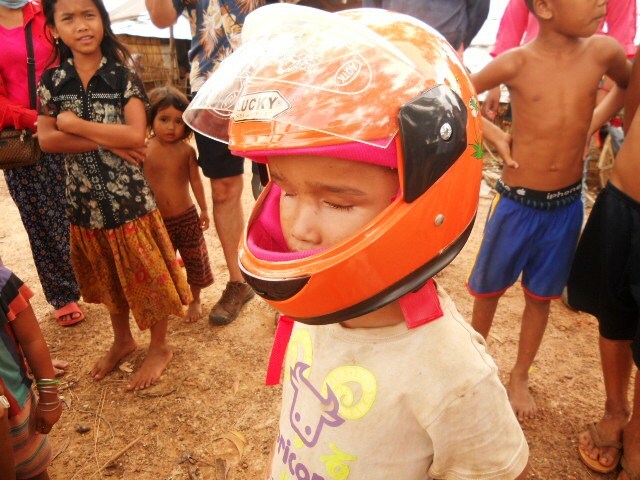 Initially we had to provide 4 school uniforms, a back pack, footwear, toiletries, other clothing and a Bike helmet. Other ongoing costs are needed to establish a birth certificate and family book as the family have none of these.